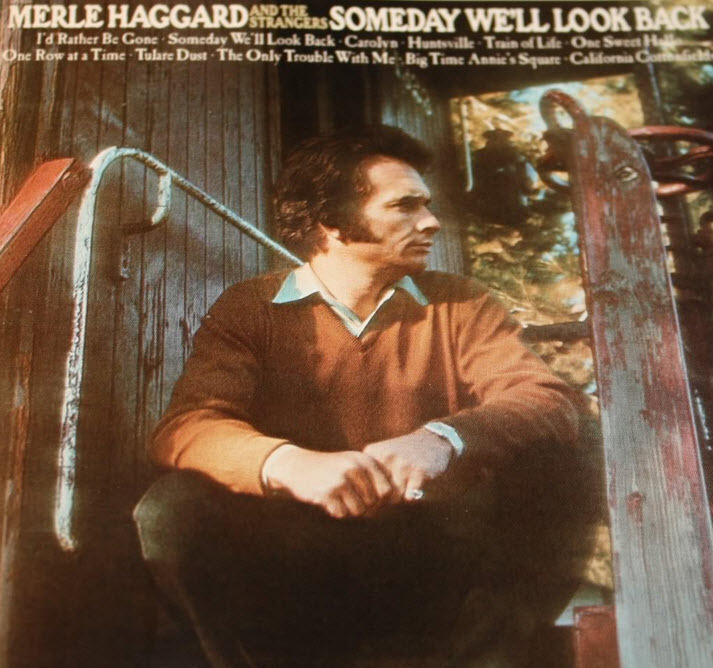 Someday We’ll Look Back is an album by American country singer Merle Haggard, released in 1971. It reached #4 on the Billboard Country album chart and #108 on the Pop album chart. The lead-off singles were “Someday We’ll Look Back” which peaked at #2 and “Carolyn” which reached #1. Much of the album is given over to ballads, including both lush, string-laden country-pop crossovers and simple, folky tunes, but there are also hints of twangy Bakersfield honky-tonk and blues, as well as western swing. But what really makes the record so distinctive is the quality of the material. 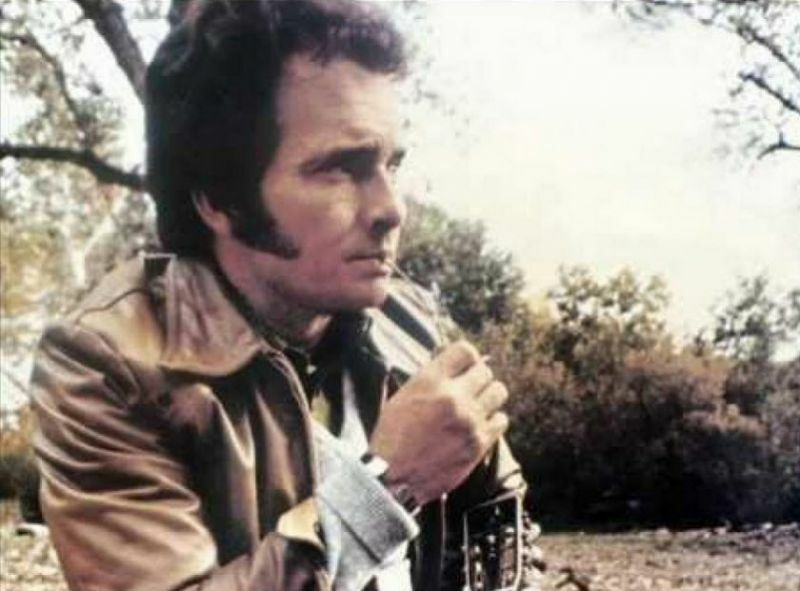 Haggard’s original songs–including “Someday We’ll Look Back,” “Tulare Dust,” “I’d Rather Be Gone,” “One Sweet Hello”–are uniformly excellent, while he invests considerable emotion into covers of Tommy Collins’ “Carolyn,” Dallas Frazier and Elizabeth Montgomery’s “California Cottonfields,” and Roger Miller’s “Train of Life.” The result is one of the finest albums he ever recorded. All songs by Merle Haggard unless otherwise noted.